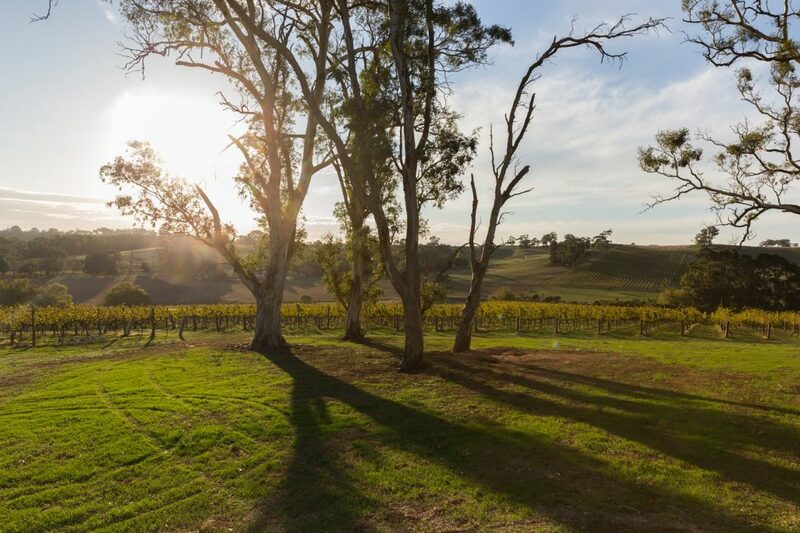 Springvale is a six hectare vineyard and part of a much larger property at Watervale in the Clare Valley. 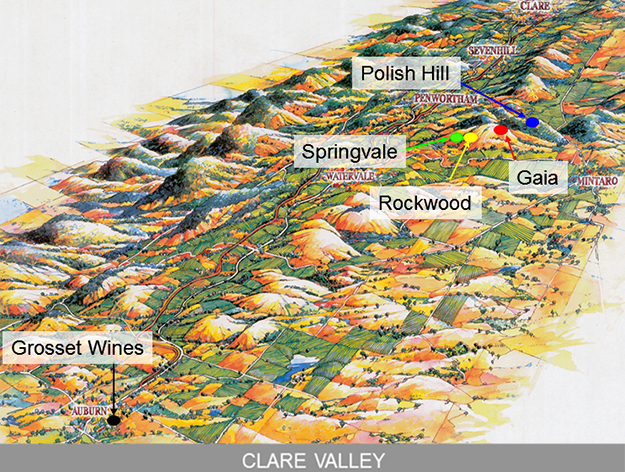 A truly unique viticultural site due to its geology, relative isolation and high altitude, it was purchased by Grosset in 1999 and planted in 2000. The thin topsoil is made up of red loams interspersed with shale over limestone, and the vines are deeply rooted in the slate bedrock. Grosset Springvale Riesling is produced entirely from Springvale Vineyard. The soil is not worked and no fertiliser is used. Instead, a mix of natural and introduced grasses and clovers are allowed to grow and self-seed in between the vines. Meanwhile, the rest of the property is being progressively returned to native vegetation. This promotes greater species diversity and strengthens both the sustainability of the site and the vines’ resilience by facilitating natural pest control and disease management. Springvale is an ACO certified organic vineyard. The relatively close-planted vines (2,500/hectare) are hand-tended with the shoots positioned vertically. The shoot and bunch density of each vine are closely monitored and the vines are trimmed manually whenever necessary.